When I started my website, I wanted to play safe, so I went with some big e-cig brands in the industry, which you should do as well since we are talking about high quality products. Avoiding them won't make you credible at all. There's a lot to read about them on the net, from other reviewers to readers' comments, so you can start promoting them right away. To cut the long story short, I didn't see a single commission from both my big e-cig brands for quite a while. I was wondering what was the matter: had my links been hijacked, don't they pay their affiliates and dozen other concerns, none of which proved true in the end. 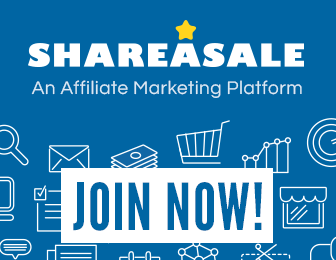 Thing is these programs already have a huge number of affiliates and their general rule is that the commission goes to the one whose affiliate link a visitor clicks first. So if your site rankings are not yet high, your visitors might have already clicked other affiliate's link before yours. The commission normally goes to the first affiliate, not to you. Only when my rankings got a bit higher, did I see my first money from them. Two important things to consider here: recurring commissions and long lasting cookies. Recurring commissions are earned when a person that bought through your link makes another purchase with the same company in future. So your visitor bought their starter kit through your link, but you'll make money whenever that visitor buys his cartridge supplies. And these companies do have a high quality products so people come back for more. Now that's what I call passive income! The big e-cig brands have long lasting tracking cookies, so you'll make money even if a person that clicks to them through your link makes his purchase 45 or 60 days from now.